Now more than ever, there seems to be a focus on making the inhabitants of Mother Earth more aware of how we treat our planet. 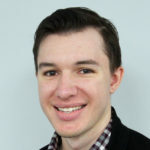 From Starbucks banning its plastic straws in the very near future to Governor Andrew Cuomo introducing legislation for a state-wide ban on single-use plastic bags, it’s safe to say that we’re heading in the right direction. 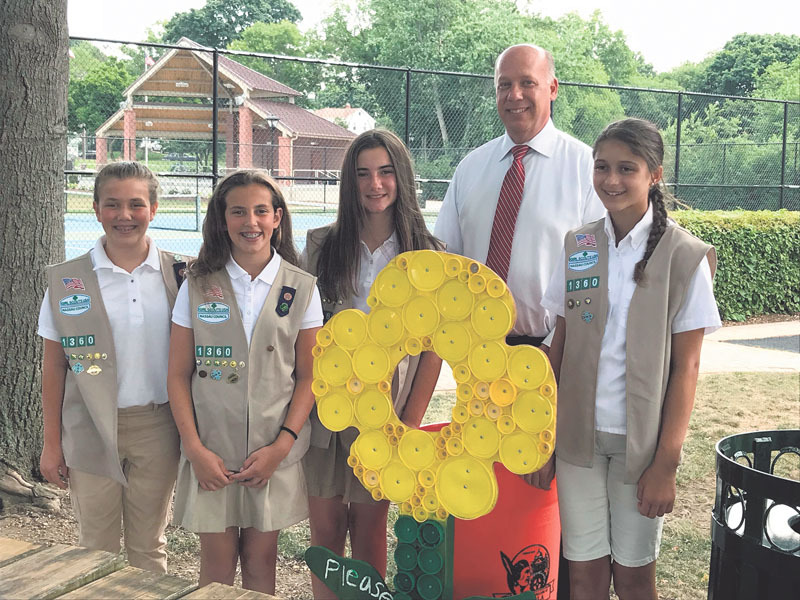 To further the initiative of protecting the environment, Girl Scouts from Troop 1360 in Mineola recently completed their Girl Scout Silver Award, which involved creating a recycling program at Memorial and Wilson Park, right here within the village. 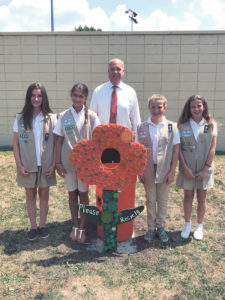 Scouts Mary Dublynn, Catherine Pizzardi, Grace Pizzardi and Camille Sylvia met with Mayor Scott Strauss earlier this year to discuss their project. The girls made flowers that they cut from plywood and then painted and decorated the flowers with recycled plastic bottle caps and lids, which were installed at both parks to provide a place for park visitors to place their glass and plastic bottles for recycling. 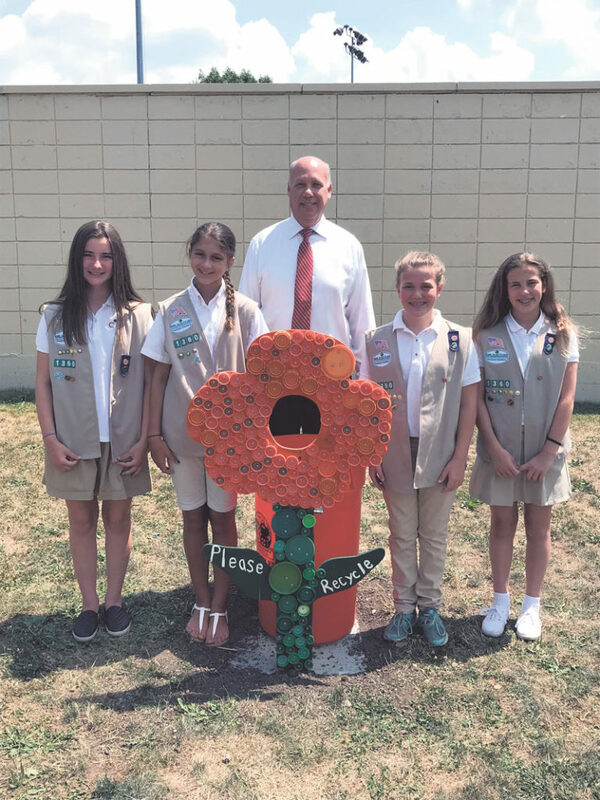 The Scouts were inspired to design their project by seeing similar “flowers” that were displayed as artwork at The Girl Scout Camp in Hampton Bays. 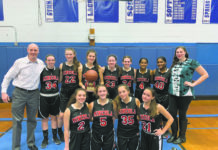 From left: Mary Dublynn, Camille Sylvia, Mayor Scott Strauss, Grace Pizzardi and Catherine Pizzardi at Wilson Park. Sylvia said that she noticed that the lack of recycling by others was starting to become a problem. According to the United States Environmental Protection Agency (EPA), recycling does in fact conserve energy and natural resources. For an example, recycling one ton of office paper can actually save the energy equivalent of consuming 322 gallons of gasoline. 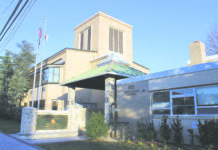 The EPA also suggests cardboard, paper, food boxes, mail, beverage and food cans, glass bottles, jugs, and plastic bottles and caps be placed only in recycling bins. Putting items in a recycling bin that can’t be recycled can actually contaminate the recycling stream.